Jhpiego is an international non-profit health organization affiliated with the Johns Hopkins University. For more than 46 years now, Jhpiego has empowered front-line health workers by designing and implementing effective, low-cost, hands-on solutions to strengthen the delivery of health care services for women and their families. By putting evidence-based health innovations into everyday practice, Jhpiego works to break down barriers to high-quality health care for the world’s most vulnerable populations. Jhpiego, implementing a number of projects in Tanzania, wishes to recruit a Monitoring & Evaluation Advisor for Sauti Project. The Monitoring & Evaluation Advisor (M&E Advisor) will provide support, oversight and direction for monitoring and evaluation (M&E) activities for the Sauti project within this platform, Pre Exposure Prophylaxis (PrEP), HIV Self Testing (HIVST) and ART outreach service delivery to key populations (KP). This includes providing technical leadership, standardization and operational efficiency to develop and implement the project M&E plan. The M&E Advisor will work closely with the M&E team to design, implement and supervise regional M&E activities, ensuring that lessons learned are integrated into project implementation to continuously improve quality of the three interventions and outcomes. The M&E Advisor is also responsible for documenting and disseminating project successes and challenges to USAID and coordinating the design of or designing and conducting operations research for these specific interventions. Support the development of abstracts and manuscript for sharing program learnings in wider audiences. Strong background in program M&E, data management and analysis of data, and some experience with program evaluation/research. Preferred qualities include a familiarity with the health facility setting and previous work on PEPFAR funded programs. 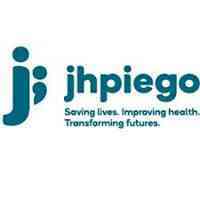 Jhpiego is an equal opportunity employer and offers a competitive package selected candidates in line with academic qualifications and relevant experience. To apply please indicate the position title on the subject line and regional of reference of your e-mail, i.e. Application for Monitoring & Evaluation Advisor. All applications should also include an up-to-date CV with three contactable professional references, a cover letter and your salary history.